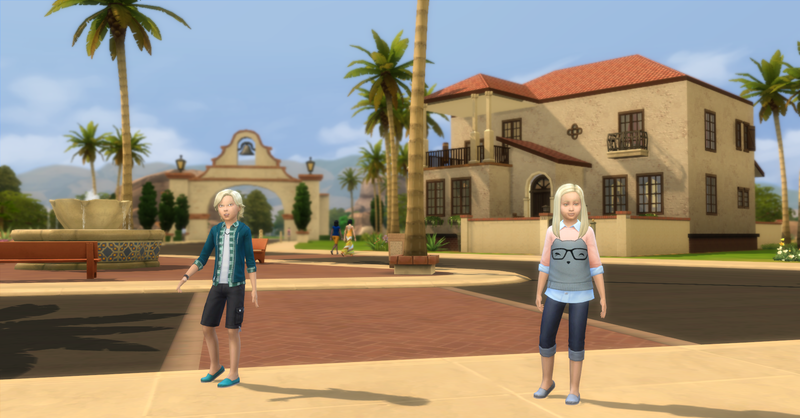 The Prospero Family has spent 40 days and 40 nights working toward their ultimate goal of earning §1,000,000 simoleons! The family already achieved so much and today is also Fortuna’s teen birthday so the next generation will start helping out financially too. Fortuna’s birthday dawns rough and early for her since she wakes up really needing to pee and the toilet it broken from yesterday. Rosabelle also wakes up really having to pee, she decides to take Fortuna over the the neighbors, the Caliente’s, and ask to use their bathroom since theirs isn’t working. 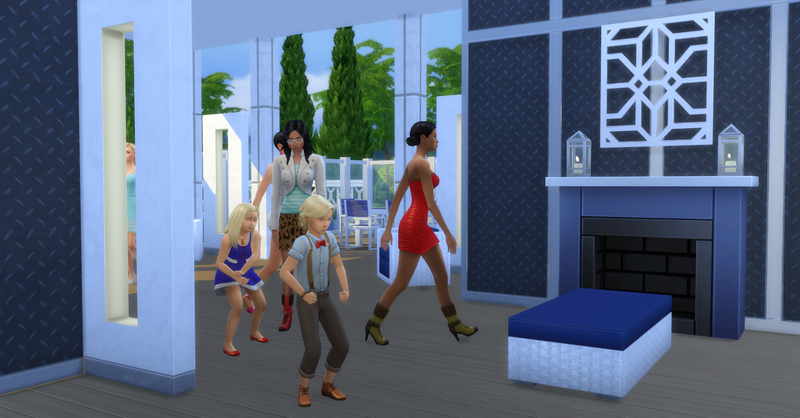 Fortuna changes out of her pj to go the the neighbors, but Rosabelle has to pee so badly that she forgets! Fortuna goes inside to look for the bathroom. They leave the Caliente’s house and return home, Rosabelle goes straight to the shower since she is so smelly. 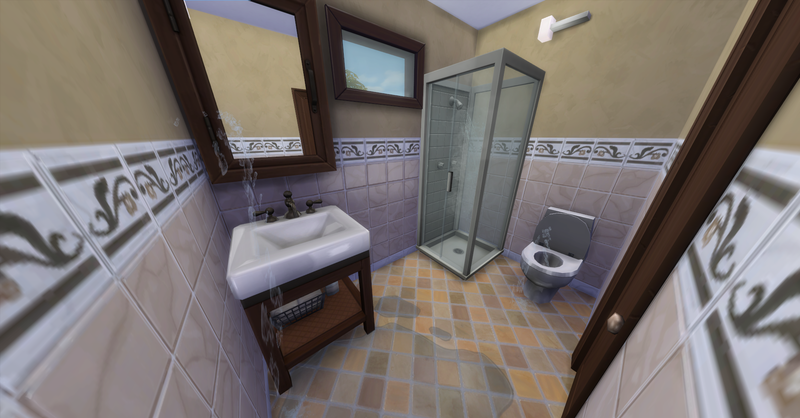 Now the bathroom is possessed, the shower wont stop running and somehow the sink has broken too! Definitely time for a house renovation! After returning home Rosabelle eats yogurt for breakfast while Pawel watches tv for fun. Fortuna and Forbes go to school, today is the last day of middle school for Fortuna. 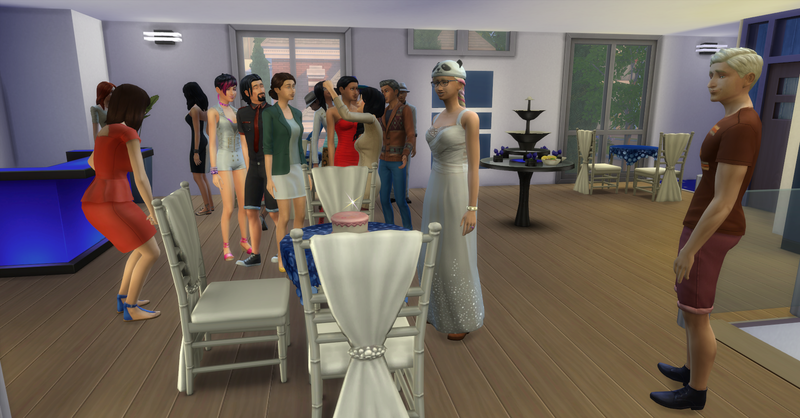 Today’s Royalty Report arrives, they have earned §7980, their funds are now §125,545 simoleons. Once the kids are gone, the parents take advantage of the quiet to work on their books. Pawel takes a writing break to repair the broken sink since they will be keeping it when they renovate. Rosabelle tends the garden, harvests the sliced dragon fruit, snapdragon, and strawberry plants, and the first harvest of 3 of the dragon fruit plants! Pawel is making another garden pot (§15) for the front yard. Their funds are now §125,530 simoleons. With the fruits she just harvested from the various dragon fruit plants, she will have 8 plants, so she places the sliced plant in their family inventory. She then plants 2 more dragon fruits to make 8 plants all together. Afterwards she waters them and fertilizes them with snapdragons she harvested earlier. She sells the 25 remaining dragon fruits to the farmers market. 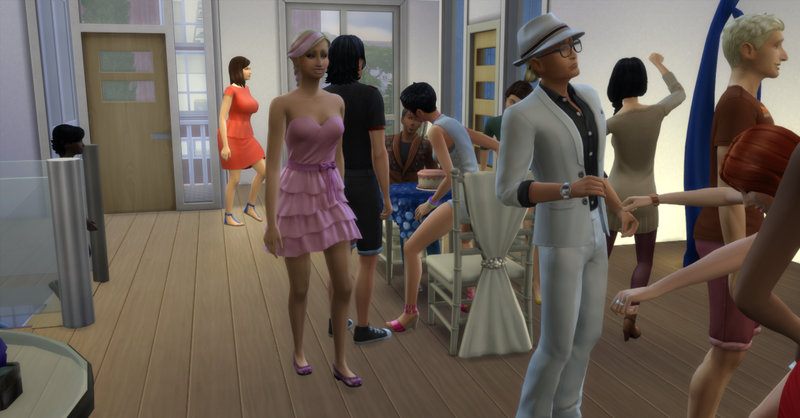 They are in high demand and her first crop net them a good sum at §2268 simoleons! Their funds are now §127,798 simoleons. 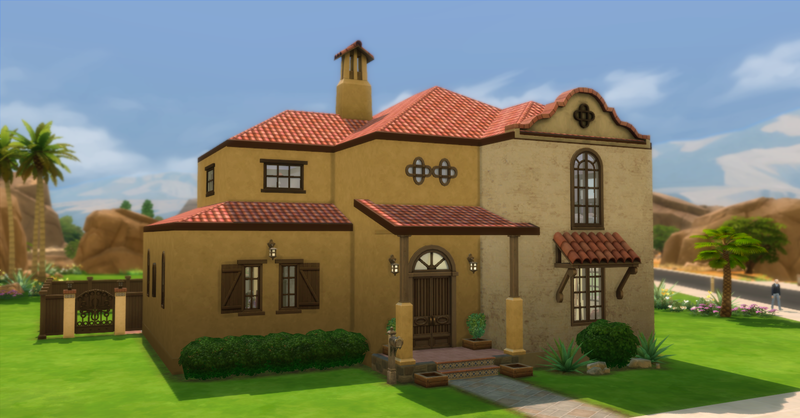 And with a very nice amount of money to build with in the bank, the Prospero’s decide to invest in their property and build a home they can grow into as an adult family. And when I said renovation, I really meant a complete tear down! Goodbye to the old house! 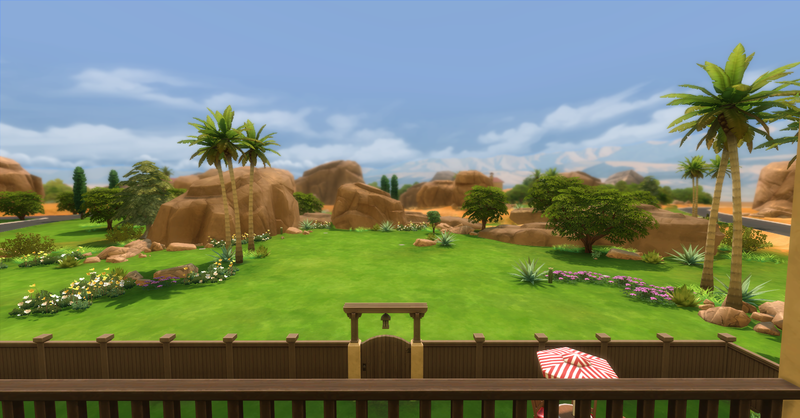 They spent a total of §88,440 simoleons on the construction of their new house. 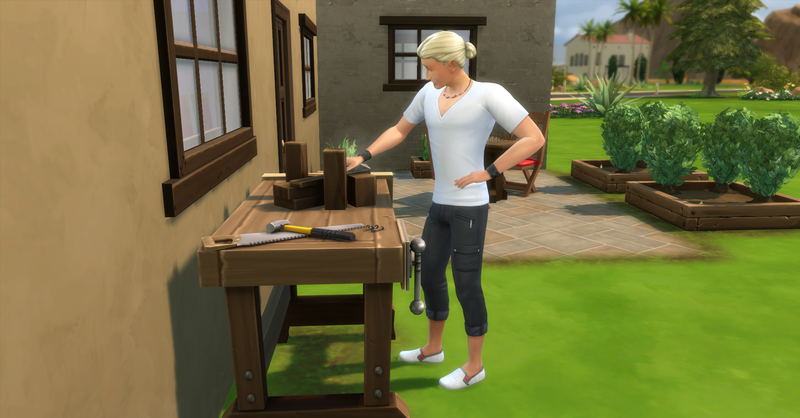 They were able to sell some of the old building materials and appliances for §6835 simoleons so they made a few simoleons back. 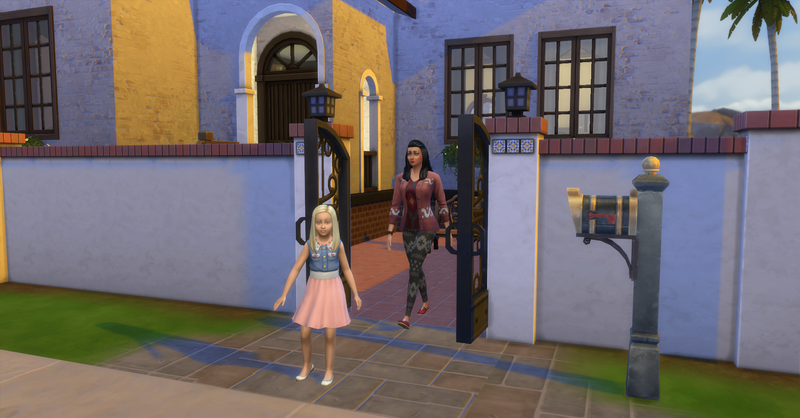 The kids are still at school for another hour so Rosabelle and Pawel go inside to explore their new home. The first thing Rosabelle does in their new home is use the new stove! There hasn’t been any real food for a couple days because the old stove had broken. 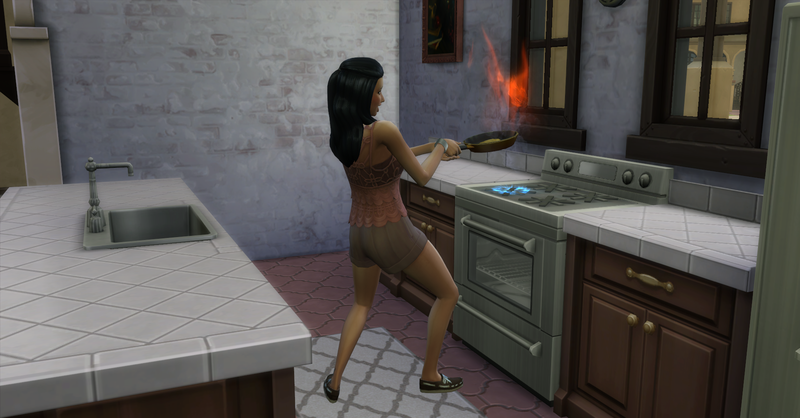 She cooks scrambled eggs §10, funds are now § 46,160 simoleons. 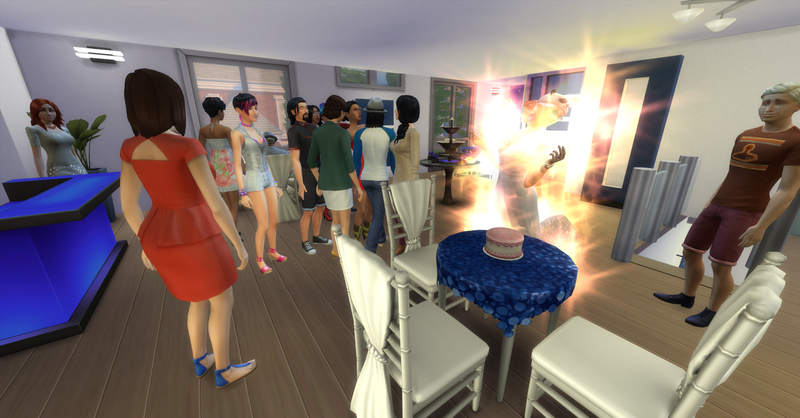 OMG a fire breaks out, don’t burn down the new house! 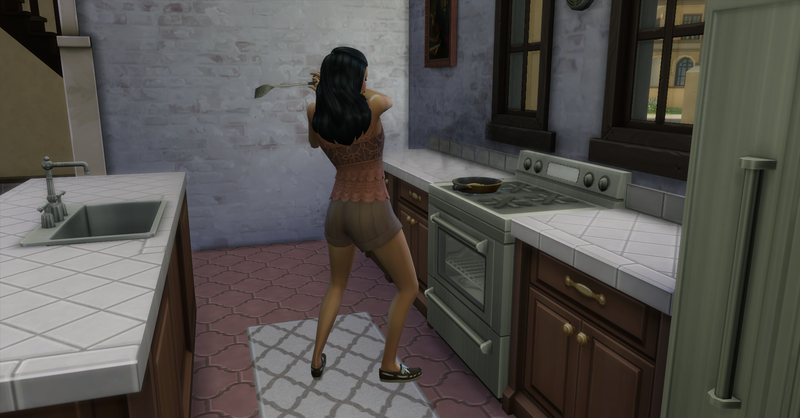 Luckily Rosabelle is able to smack it out with the spatula! Then she and Pawel watch tv and eat in the new living room. The results from the poll To Party or Not to Party are in! And the winner is…. 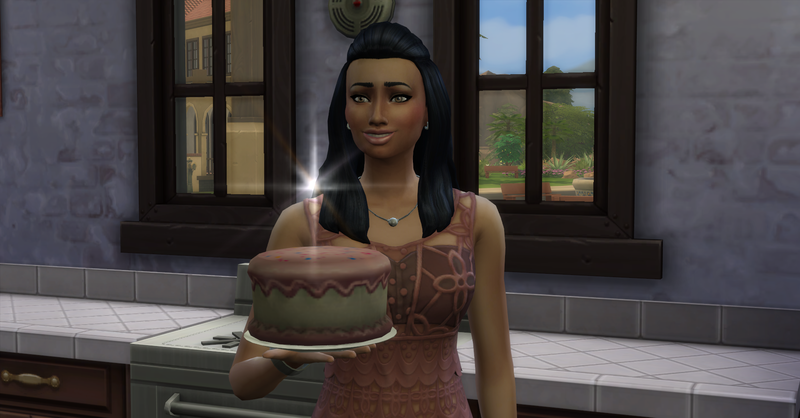 After Rosabelle finishes eating, she bakes a strawberry cake (§15) for Fortuna’s birthday party today. Their funds are now §46,145 simoleons. She looks like a proud Momma. The kids arrive home from school, Forbes is very tense from school and low on fun. Fortuna seems happier since it’s her birthday today! 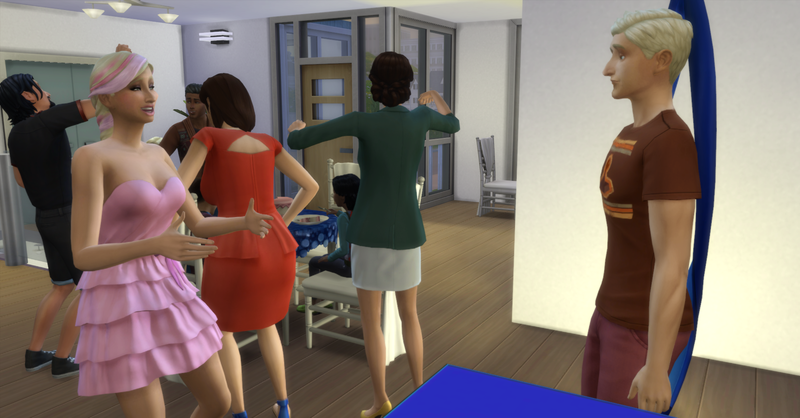 Once the kids are home, everyone heads over to The Annex Party Place in Newcrest where the birthday party is being held. 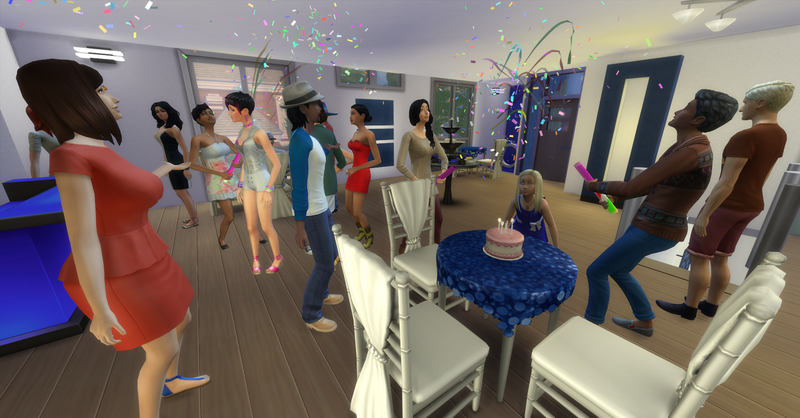 It costs §110 simoleons to rent the venue and to buy the birthday candles. 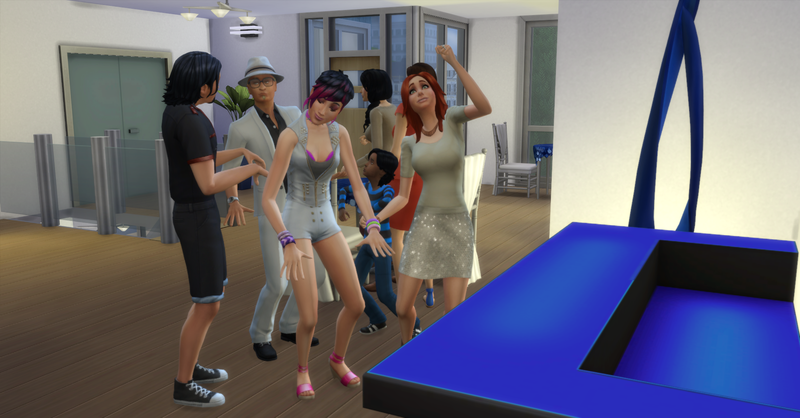 Their funds are now §64,035 simoleons. First thing the birthday girl does it hit the dance floor! 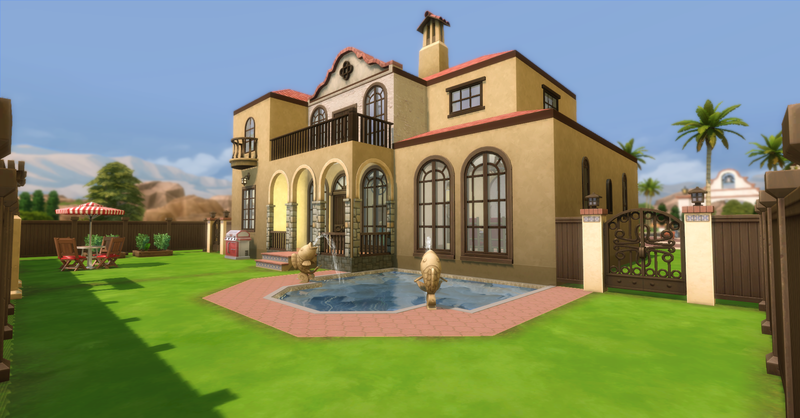 Rosabelle uses the basement kitchen provided for caterers to prepare a party size serving of caprese salad (§17) and ceviche and chips (§34), after she brings them to the buffet table upstairs. Their funds are now §45,984 simoleons. Then she goes upstairs to try some of the food her mom prepared. Everyone seems like they are having a good time. Fortuna spends some time chatting with a older school friend she has a secret crush on. Then it’s time to blow out the candles and welcome the teenage years! 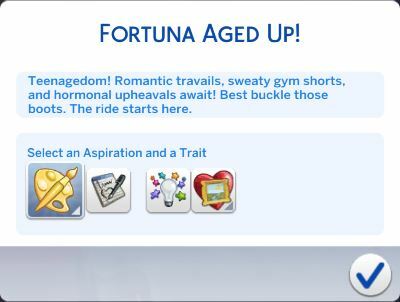 Fortuna ages up into a teenager! Her aspiration is Painter Extraordinaire and her new traits are Art Lover and Muser (from aspiration). She immediately goes to change this hideous outfit into something better in the bathroom. That’s better, she does keep the dyed pink hair the game gave her since it seems to fit her creative teenage personality. 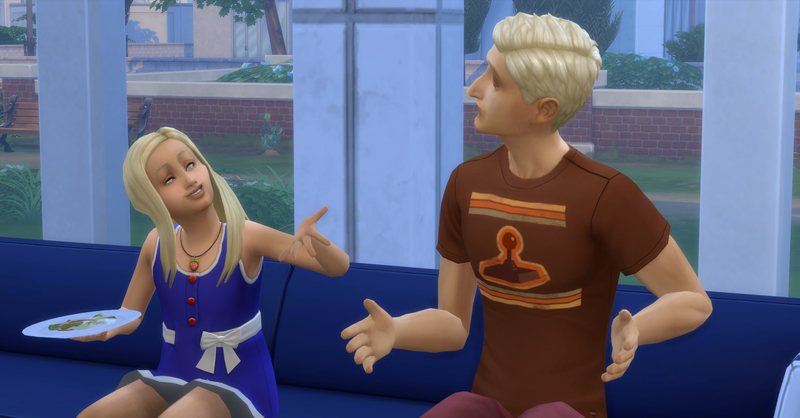 She gets some more talk time in with her crush since she is now a teen too! 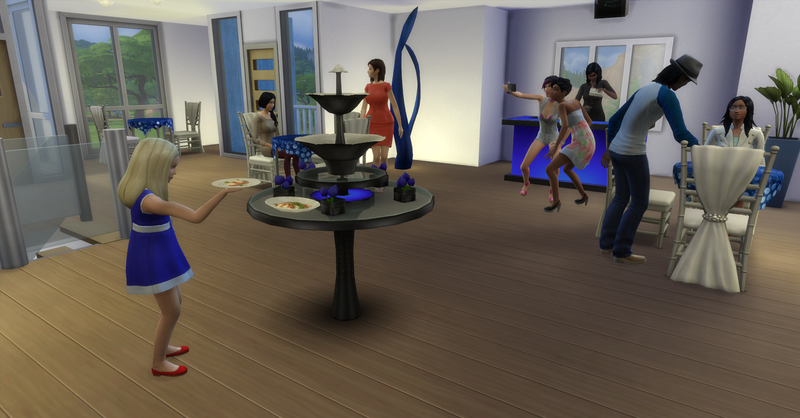 Then the party is over already! Everyone had a great time. Back at the Palazzo the family is all tired out from the party and everyone goes straight to their new bedrooms. At least now the kids aren’t sleeping in the same bed anymore! Rosabelle is totally exhausted for planing and executing the party and Pawel is feeling tired too. Fortuna’s hair matches her new room and also her sleepwear too! 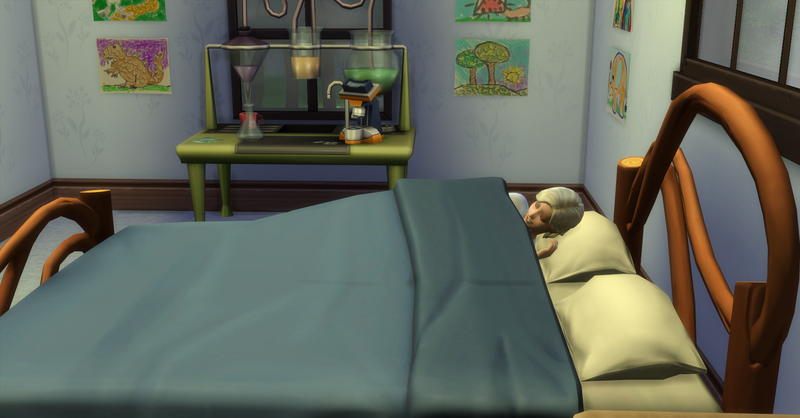 Forbes’ is tired but happy to have his own bed and room and he even got a chemistry set to play with in the future! Watch My Let’s Play: Build Newcrest Legacy Challenge on Youtube! Thanks so much! I love the hair too, sometimes the game makes good decisions! You are reading my mind! I am concerned about the bills, but I am planning to have both children’s future spouses move in at some point (ok in the rules) and the parents will stay here until they pass away so this is a big upgrade for them!